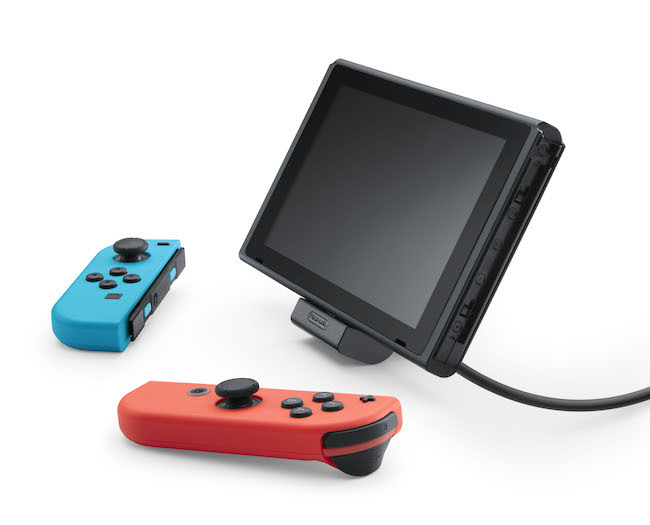 Nintendo has revealed the Adjustable Charging Stand for Nintendo Switch, that has been created to help those that want to charge the portable home console while in Tabletop mode. That’s because the stand has a port for the AC adapter on the side, which, normally in Tabletop mode, is awkward to access to charge the console while playing. The stand’s angle can be adjusted to help you choose the best viewing angle for any situation, and Nintendo adds that it will work on any flat surface – whether that be a tray table on an aeroplane, a table or desk. The Adjustable Charging Stand for Nintendo Switch will release in North America on July 13th, priced at $19.99.